Luxury Motorhome Camper with delivery at Barcelona Int. Airport! RV rental in Barcelona is now possible via Goboony, a sharing platform for RV’s based in Europe. 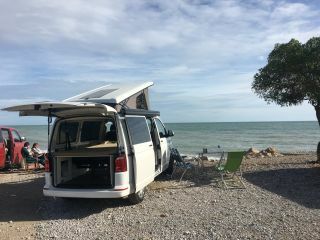 At Goboony we like to connect campervan owners with freedom seekers, and our dream is that in a few years everyone has made at least one campervan trip in their life. 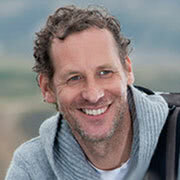 We not only provide you with a safe vehicle, but we can also help you with our years of experience in campervan travel. Lets share the freedom together! Renting an RV via Goboony brings a lot of advantages. Often it is cheaper than renting from a campervan rental company. And it is also nice to be in direct contact with a private owner, who not only wants you to have the best experience in their van, but is also a local who can give you nice travel tips and places to visit. The formal things are all organised by Goboony, so you only need to think of the fun and practical parts. 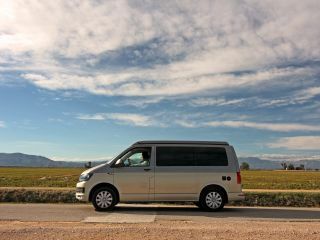 How much does it cost to hire a campervan in Barcelona? The prices for renting an RV or a campervan can vary greatly across Europe. 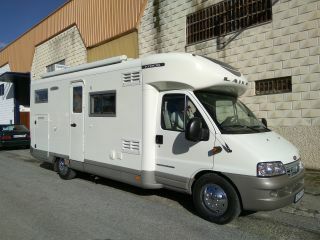 The campervans that are for rent in Barcelona via Goboony are round $1200,- per week in high season (July and August). Want to find out more about how much campervan hire in Europe costs? 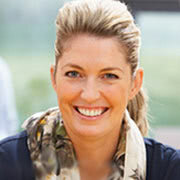 Have a look at our information page. Why rent a campervan in Barcelona? Barcelona is a popular destination in Europe, and for numerous reasons. The beach, the Ramblas, the atmosphere, the list goes on and on! It is just amazing. Barcelona is the perfect place to start a trip through Spain, Portugal or other European countries. It may take you through the region of Catalonia but it is also not too far from the Pyrenees. The campervans we have for rent in Barcelona are also pretty comfortable, it'll certainly feel more like glamping. They are small but have everything you need and they are also easy to park everywhere. What are things to do in in Barcelona? As mentioned Barcelona is directly next to the beach, so it is perfect for a city/beach getaway. But in the city itself is also sure to keep you busy. Be sure to visit the Ramblas, the Bunker del Carmel, Park Güell and of course not to miss the Sagrada Família. For the rest, just eat. If anyone tries to tell you that you've had enough tapas or sangria, tell them that isn't possible! What are things to consider when driving an RV in Barcelona? Barcelona sometimes has a temporary environmental zone when the weather reaches certain circumstances, so always keep an eye out for this. If you are going with an RV keep in mind that some streets are pretty narrow, you should be fine with a campervan but always stay alert. If you don’t want to contribute to the hectic traffic, just leave your vehicle at a parking spot or go to a campsite nearby where you can stay overnight and head to the centre through the frequent public transport. A nice campsite in Barcelona is Parking Poble Espanyol de Montjuic. It is quite expensive but is has everything you could possibly need and is super close to the centre. What is the closest airport to Barcelona? Sorry but Barcelona doesn’t have one airport nearby... it has three! The one that is closest is El Prat Barcelona Airport, but Girona Airport and Reus Airport will work too. Simply ask the campervan owner what would be the best. You might also fly to Madrid, since it is a big airport with many intercontinental connections. It might also be useful to discuss with the campervan owner where to meet for the key handover.